Palmhurst residents will decide whether they want to continue funding the city’s police force through a half-cent sales tax in the upcoming election. The proposition is on the ballot because the Palmhurst Crime Control and Prevention District, which oversees the police department, is set to expire at the end of 2019. If approved, the sales tax will maintain in effect for an additional 10 years through 2029. 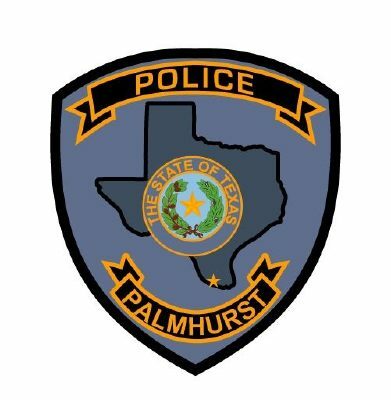 Palmhurst is one of only two Texas cities without property tax and therefore relies on the local sales tax to fund its police department. In 2017, the district raised approximately $600,000, Vela said, which contributed to 40 percent of the police department’s $1.5 million annual budget. The crime control and prevention district was established in November 2004 when a majority of city residents voted in favor of creating the city’s own police department due to slow response times from the Hidalgo County Sheriff’s Office and the Hidalgo County Constable Precinct 3 Office, according to Monitor archives. In November 2009, residents voted in favor of maintaining the district for a 10 year period, and Vela said residents have shown support for this year’s proposition. Palmhurst residents can vote on whether to approve the half-cent sales tax at Faith Baptist Church, located at 4301 N. Shary Road. The polling site will be open from 7 a.m. to 7 p.m. during early voting, which runs from Oct. 22 through Nov. 2, with the exception of Oct. 28, when the site is open from 10 a.m. to 3 p.m.